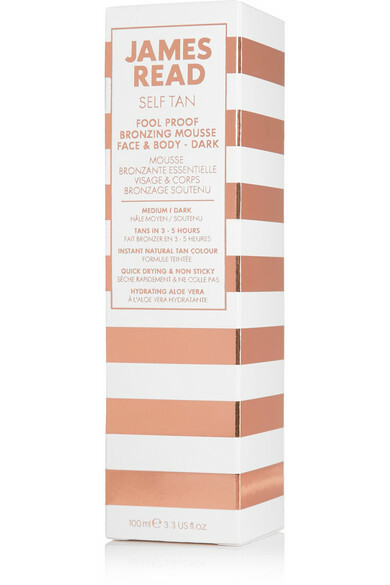 James Read's 'Fool Proof' bronzing mousse is a quick and easy way to achieve an all-over golden glow. Fragranced with fresh Mandarin and Neroli, this light-as-air formula sinks quickly into the skin and offers a deep, natural tan that will stay put for up to seven days. It also intensely nourishes using its unique 72hr Hydration Technology™.